Thinking of Publishing an App? If you’re thinking of creating an app, it is wise to examine all angles of cost before diving in. The app market is expected to nearly double from 2016 to 2020. Businesses of all kinds are recognizing the potential that publishing an app holds. While an app has the potential to increase revenues, reduce marketing costs, and enhance your customers’ experience, it can be a very expensive tool that requires constant maintenance and upkeep. It is important to weigh the cost versus the benefit before diving in. Should you publish an App? Knowing that the application market is growing, it might seem tempting to develop an app for your business. However, there are several factors that should be considered before deciding to hire a programmer for the job. Market research – Do you need an app to stand out from the crowd? Opportunity – Do you need an app to better server your customers? Maybe a price calculator would benefit your customers. Maybe you’re a photographer and a custom photo viewer app would wow your clients. 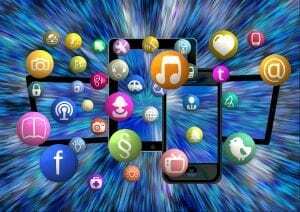 Goals – Can you accomplish your business goals without an app? Applications can cost a small fortune. It is important to do a full cost benefit analysis before hiring a programmer. How Much Does it Cost to Publish an App? Perhaps the concern when considering whether to program an app for your business is the price tag. Programming an application is expensive. It can take a skilled programmer several hours to program a very basic app for one platform. Programming hours do not come cheap. Even after a basic app is built, it will need to be tweaked to run on both Android and iOS devices. Add features and functionality and the price increases even further. Once the app is finished, distribution and storage must be considered. Does the app rely on a back-end server to function properly? Is there a cost involved in distributing the app? Finally, there is upkeep and security. When an app is “finished”, it’s maintenance cycle begins. Updates within the operating systems used on mobile devices can break applications. Hackers can attack apps as well. It is important to add a maintenance budget into the total cost of programming an app to ensure that it continues to work through OS updates and security threats. As an example, a simple app that doesn’t rely on a back-end server, built by an offshore company for one platform will be significantly cheaper than a complex one built by a prestigious local company that uses a data server. But the adage often rings true – you get what you pay for. Is there an App alternative? If you decide that app is just too expensive or overkill for your marketing goals, consider a mobile website instead. A mobile-friendly website can be an effective tool to reach your audience on mobile devices. A website built using a CMS like WordPress is easily updated and customizable. There are a wide-range of plugins available to keep users engaged and connected. There is certainly still a huge opportunity for businesses looking to develop and publish their own app. However, it’s not a project that can be easily thrown together. An app may not be the most economical marketing tool. Consider a well-designed mobile-friendly website to reach audiences across multiple platforms. It is far less expensive and can make a big impact.